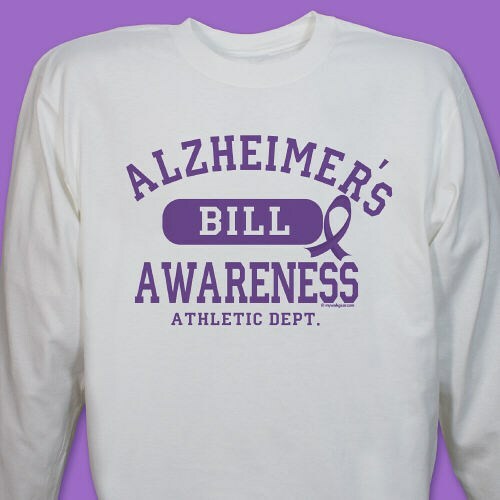 Help us put an end to Alzheimer’s by wearing our Alzheimer’s Awareness Shirt. This Awareness Shirt for Alzheimer’s shows that you are here to support families and friends battling with this condition. Our Awareness Shirt also makes a wonderful addition to your next Alzheimer’s Awareness Walk Event. Looks great, as it looks in the picture. Quick delivery. Additional Info When you want to spread Alzheimer’s Disease Awareness, do so with MyWalkGear.com. We have an ever growing collection of Alzheimer’s Awareness Apparel & Walk Gear to kick start your support! Be sure to wear this Awareness Shirt at your next walk event your you may also choose to wear our Alzheimer’s Awareness T-Shirt or our Alzheimer’s Disease Sweatshirt.